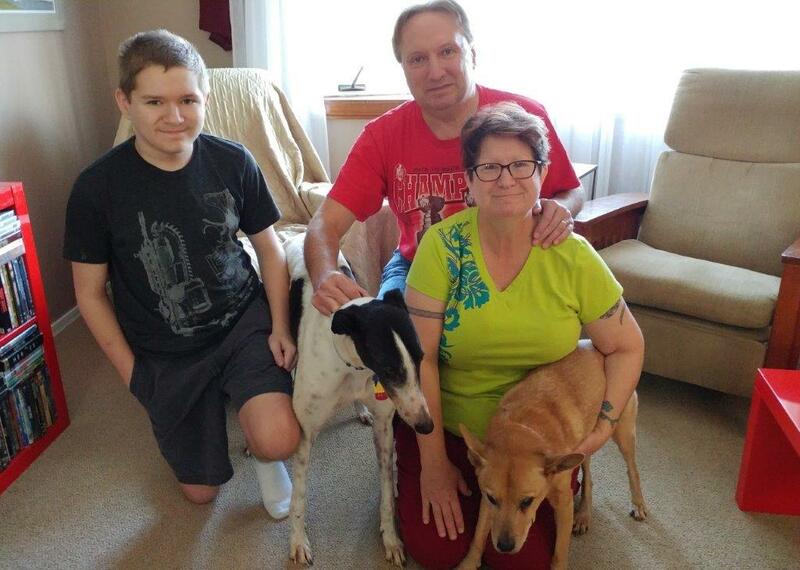 Anne, Jack and son Scot of Beavercreek have always loved greyhounds but didn't have a fenced yard until recently, so the time was finally right to add one to the family. Mixed breed Halo has some vision problems so we wanted a very mellow girl for this family and Dancin Absolut, now called Kelly, was a great match. Kelly met one of the cats and will learn quickly that he rules the house! We hope to see this family at lots of future GAGC events.